The simple cheese, lettuce and tomato sandwich with Dijon mustard had me at first bite. The sandwich crudité, on baguette bread, melted in my mouth. Every bite was a tad bit more delicious than the last. I had no idea a mere sandwich could taste that good. Fast forward to the present. I had just spent a few hours at the Centre Pompidou to see three different expositions: the captivating photography of Henri Cartier-Bresson, “Surrealism and the Object” and the permanent contemporary art collection. The surrealism exposition was my favorite: weird, dream like elements strewn together to create evoking pieces that made sense and did not make sense all at once. Once again, beautiful art made me hungry. I thought the idea romantic to go back to that first sandwich stand which made me first fall in love with Parisian sandwiches. While Métro Concorde was only a few subway stops away, I thought the prize would be that much sweeter if I walked. Working for what we want is always more rewarding than having it handed over, I find. With that attitude in mind, I thought I would add an extra element of challenge. The challenge was for me to find my way to the sandwich place without looking at a map or asking for directions. Sounds easy? Not in Paris! In Montreal, streets are on a grid system and run from North to South and West to East. If you keep on walking on a street in the same direction, you’ll pretty much get to where you need to go. 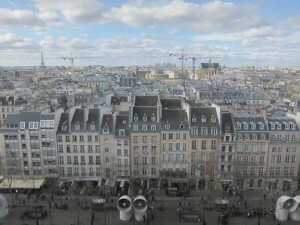 However, Paris is a mosaic of intersecting streets, squares and boulevards. Figuring out their street network is more like deciphering the green squiggly characters from the Matrix. 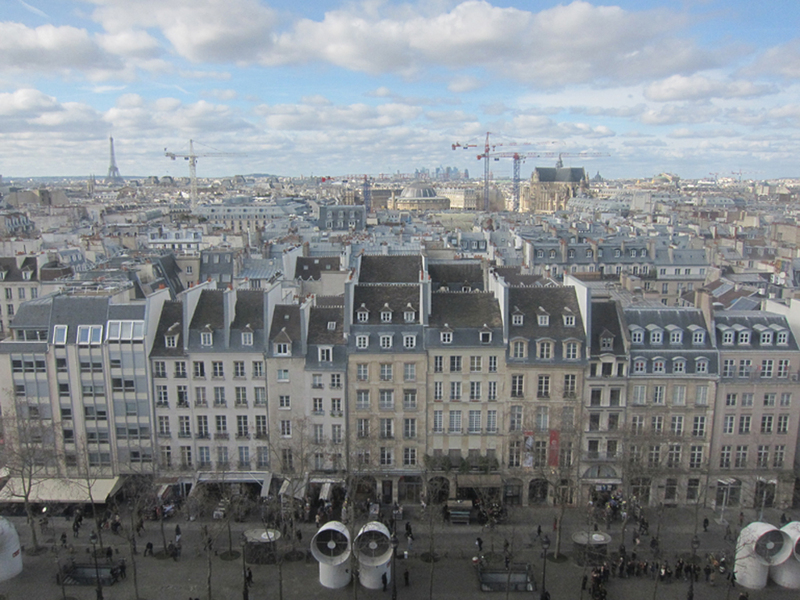 So I made my way to Châtelet – Les Halles, the city’s central shopping area, busy with cafés, terraces and plazas. I knew that if I made my way to La Seine, I would easily reach my destination if I followed along the most important waterway within Paris. So I headed south. At least, what I thought was south. I never reached the river. In reality, I was walking north-west. At least I had one direction right. When I ended up on Boulevard Poissonnière, which becomes Boulevard Montmarte, one of the four Les Grands Boulevards of Paris, in front of the Métro Strasbourg – Saint Denis, I knew I was heading in the wrong direction. I turned left and kept on taking random streets, walking in a southwest-ish way, using my inner compass to gauge if I was heading the right way. I don’t know how I managed to reach the Château du Louvre, but after a lot of walking I eventually did. With the Louvre palace in sight I knew exactly where I was. I entered the château grounds, headed south in the Jardin des Tuileries, a huge public park and garden. My step hastened as my anticipation of eating a really delicious baguette sandwich grew. I could only hope that the stand would still be there like I remembered. I reached the edge of the Jardin, just as they were closing the garden gates. I was delighted to see that the sandwich place was still there and wasn’t closed for winter. I made my way to the side where they sold sandwiches to claim my reward. I laughed. “Vous n’avez plus de sandwiches?” I asked. I smiled and shrugged. I understood that the journey to get to that sandwich was more exquisite than the actual sandwich could ever be.